This gorgeous natural gold nugget is from the Klondike Region of the Yukon Territory in Canada. The Yukon Gold Rush, also known as the Klondike Gold Rush, lasted for about 3 years, from 1896 to 1899. 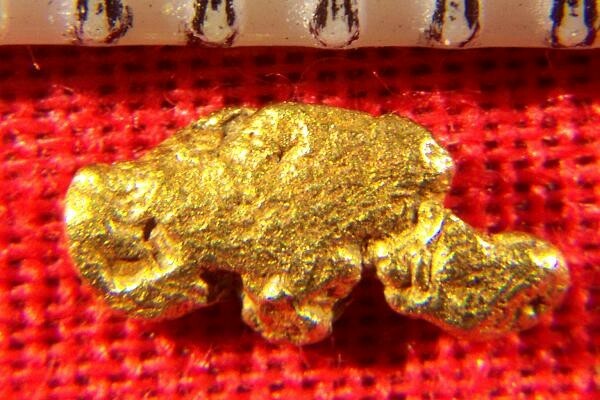 This is a natural gold nugget from that region. 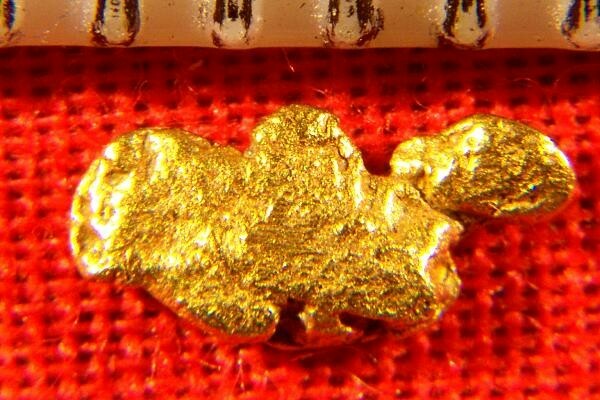 The weight of this gorgeous gold specimen is 3.1 Grains (0.20 Gram). The size is 1/4" (7 mm) long. It has a fantastic textured surface and gorgeous color. Yukon gold nuggets are highly prized by collectors, jewelers and investors because of their beauty and great history. I very pretty little gold nugget.